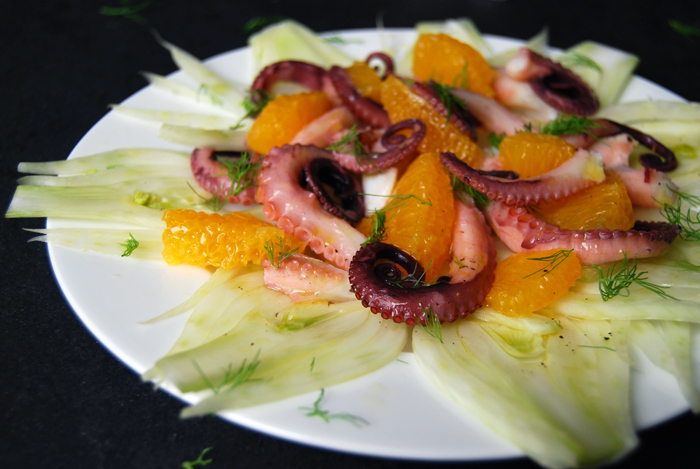 This is my favourite octopus recipe, tenderly cooked with star-anise, fennel seeds, bay leaf and garlic before it reveals its fine qualities in a refreshingly light salad side by side with crunchy slices of fennel and juicy orange filets. It’s one of the purest ways to savour this seafood which is so unique in taste and so scrumptious when prepared well. Cooked octopus combines a smooth butteriness with the soft sweetness of the fresh sea, it doesn’t need much more to caress my taste buds. A little fruity acidity and the flowery aroma of anise and it’s complete. It’s that time of year again, when my summer holidays come back to mind and tease me, especially the culinary memories from Malta and Gozo, our second home, and I can’t wait to revive them in a few months. 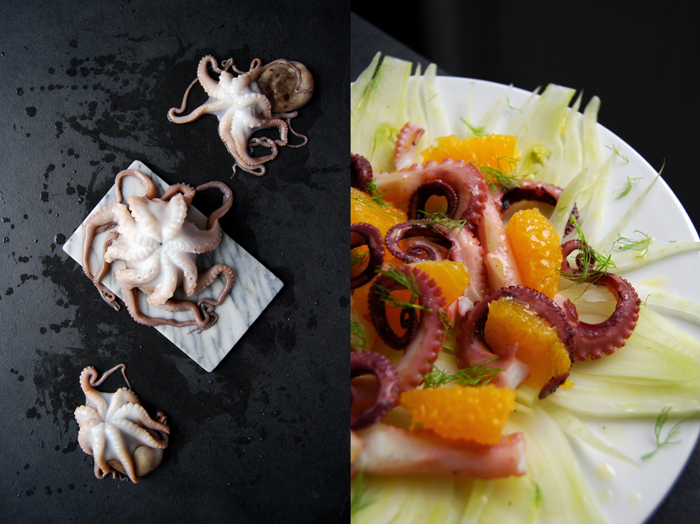 This octopus salad makes an annual appearance and will definitely be on my plate more than once. It’s one of my personal Mediterranean classics, cooked in my Maltese mother’s kitchen and savoured in her garden for lunch, with a glass of crisp Maltese white wine and the sun on my back. So much to look forward to, so let the holiday dreaming begin! 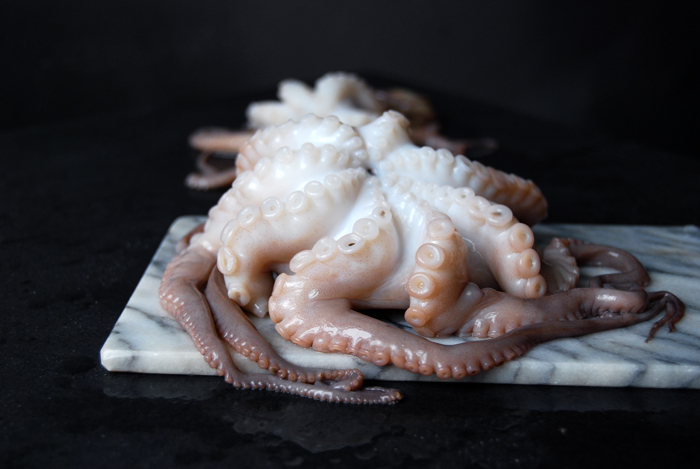 Here’s more about the man who taught me to cook octopus with star-anise and fennel seeds, Kurt Micallef from Malta. In a large pot, bring water with the star-anise, fennel seeds, bay leave, garlic, onion and lemon to the boil. Slip in the octopus and cook on low heat (simmering) for about 45 minutes or until the octopus is tender. Take the octopus out of the broth, let it cool and cut into pieces. For the dressing, whisk the olive oil, orange juice and vinegar and season with salt and pepper to taste. 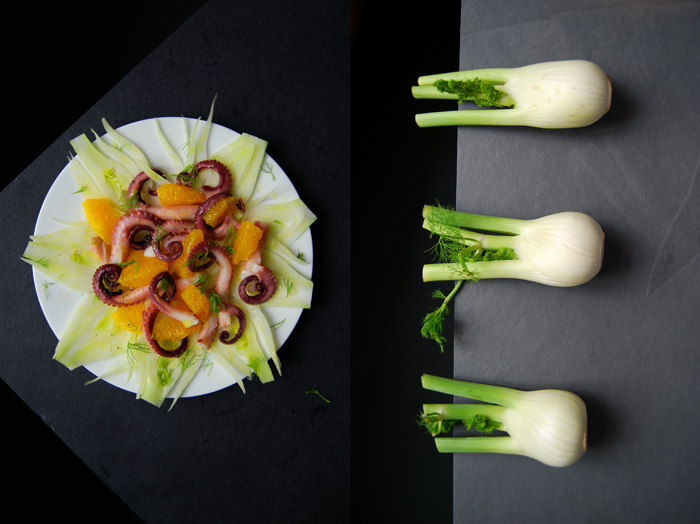 Arrange the slices of fennel on plates and lay the octopus and orange on top. 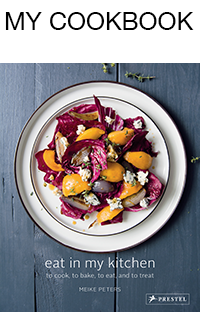 Sprinkle lightly with the dressing and fennel green, serve immediately. Meike, I have a question. 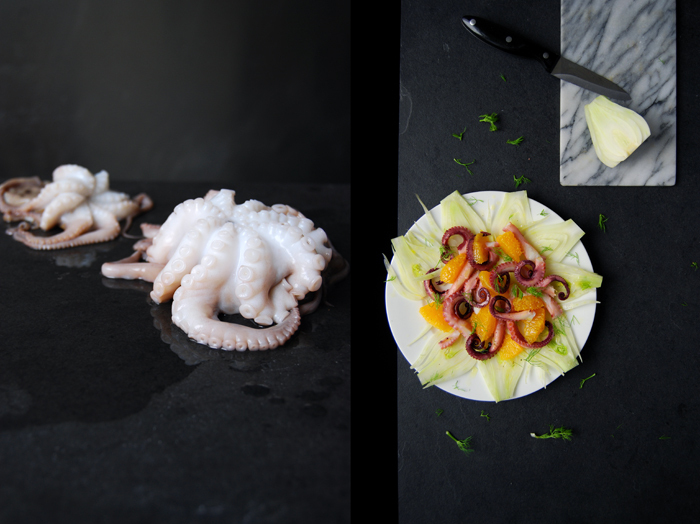 Would whole calamari be a possible substitution for octopus in this recipe? I live in Maine and it’s more readily available. Is squid too mild for the flavors that the octopus is cooked in? Thanks. Thanks Meike. Now I can make this salad without any worry. You, of course, will have all the calamari you can handle in Malta this summer. I’m glad that you keep all of that bottled up Mediterranean sun in your recipes for everyone. (we woke up to snow this morning) I still know when it’s Spargelfest in Germany and carciofe season in the med. 🙂 Enjoy it! Did you ever live in Germany? It’s finally getting warming here, spring is back! !